Scientists have discovered an enzyme that is the key to the lethal potency of poisonous mushrooms. The results, published in the journal Chemistry and Biology, reveal the enzyme’s ability to create the mushroom’s molecules that harbor missile-like proficiency in attacking and annihilating a single vulnerable target in the human liver. The team revealed how the enzyme contributes to the manufacture of chemical compounds known as cyclic peptides, a favorite type of molecule that pharmaceutical companies use to create new drugs. The authours believe these findings could lead to single-minded medicines with zero side effects. 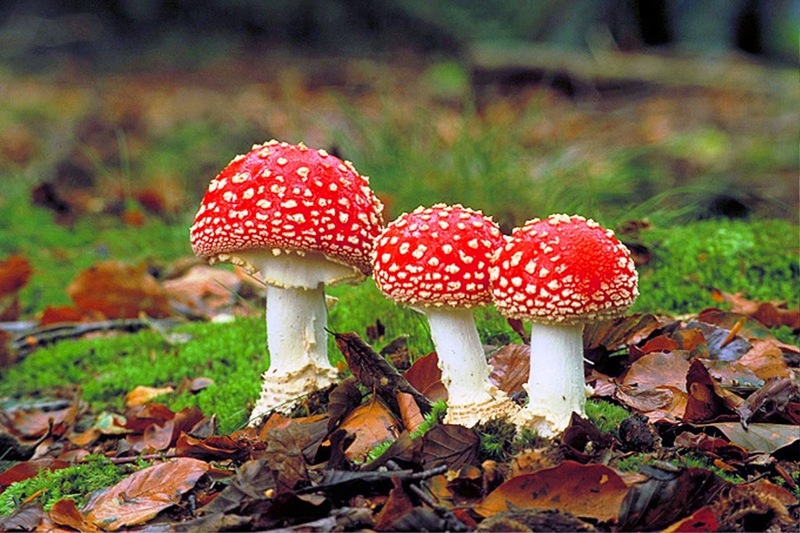 Mushrooms are prolific chemical factories, yet only a few of their peptides are poisonous. These toxins survive the high temperatures of cooking and the acids of digestion, and yet they’re readily absorbed by the bloodstream and go directly to their intended target. These are the exact qualities needed for an effective medicine. Working with the mushroom species Amanita, the researchers disassembled one of its poisonous peptides, which can be compared to a laser-guided missile with a nuclear warhead. By removing the molecular equivalent of the deadly warhead, they now have a sturdy, precise delivery system that can supply medicine – rather than poison – to a single target. By taking a laser, rather than a shotgun approach, scientists could develop medicines capable of curing disease without the patient suffering any side effects. The enzyme the team discovered is called POPB, and it converts toxins from their initial linear shape into cyclic peptides, fortress-like molecular circles comprising eight amino acids. Harnessing the distinct properties of POPB will allow scientist to create billions of variant molecules, which can be tested against many different medical targets such as pathogenic bacteria and cancer. The challenge of the next stage of research, though, is testing the variants against diseases such as cancer. The bottleneck lies in the screening process. While the team has discovered a missile capable of carrying a million different potential medicines, as of yet the payload that will be effective remains a mystery.